One of the hardest areas of parenting for me has been figuring out how to teach kids to be generous while living in an entitled society. And, no, I haven’t figured it out, but it’s something Greg and I are intentional about. We’ve made adjustments, implemented new ideas, had lots of conversations with the kids, and considered how to incorporate giving into our everyday lives in ways the kids can participate. There’s certainly not one right way to teach about generosity, but I recently read “9 Things We Should Get Rid of to Help Our Kids” by Kristen Welch and liked her ideas. 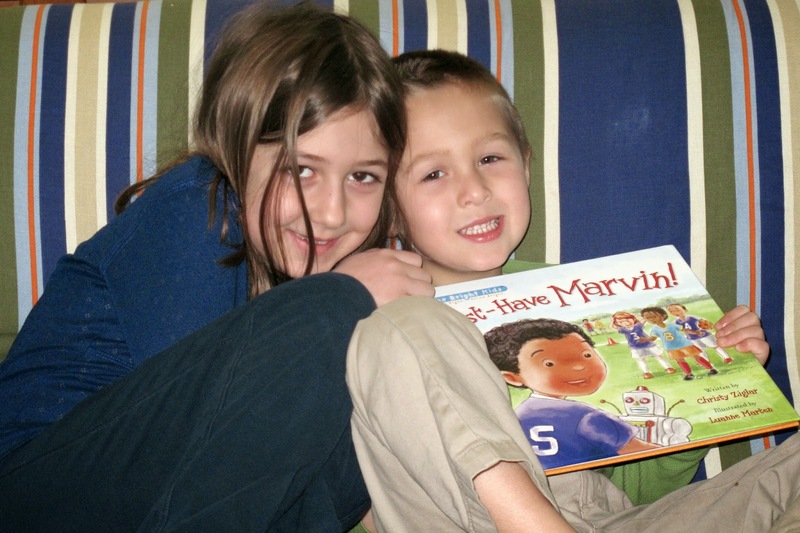 I also was glad when we got a chance to read “Must-Have Marvin” by Christy Ziglar. This is the second in a meaningful series of children’s books from Shine Bright Kids. Cate, my 6-year-old girl, was thrilled Willow from “Can’t-Wait Willow” made an appearance in Marvin’s story. Whether it’s in the classroom, on the playground or on the soccer field, Marvin is always finding something new that he simply must have! After discovering what he deems the latest, greatest, new toy, Marvin finds himself focusing a bit too much on getting instead of on giving and excludes his friends. He lets them down when they need his help and nearly loses their friendship. Through a chat with a wise neighbor and a second chance, Marvin learns the important life lesson that people matter more than things. 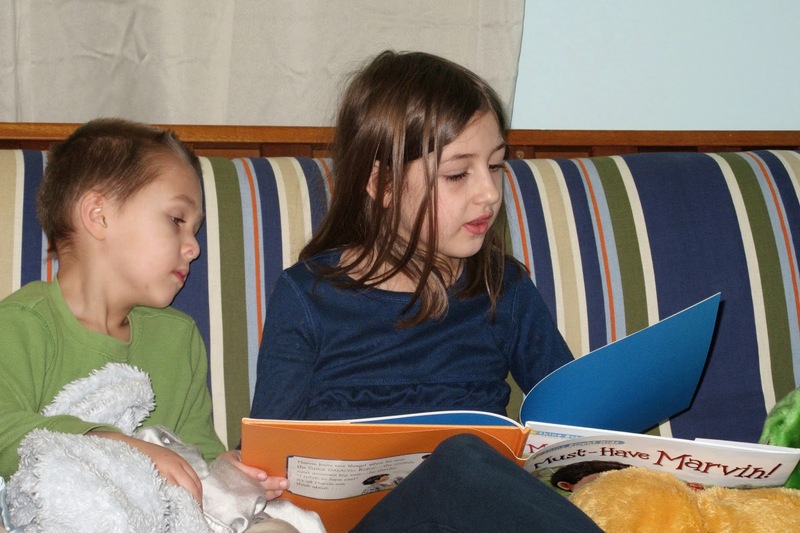 This book is practical and meaningful for kids, but my two also enjoyed the story, characters and pictures. They commented on how Marvin was making some bad decisions on his greediness and Cate even alerted us when she realized the moral of the story was coming. As a parent, I’m thankful for how the book’s messaged echoed what Greg and I want our kids to learn. ABOUT THE AUTHOR :: Christy Ziglar, financial planner, mother of twins, and niece of legendary motivator and the world’s original optimist, Zig Ziglar, is bringing the same timeless wisdom and ageless advice to an entirely new, younger audience through her new Shine Bright Kids picture book series. ABOUT SHINE BRIGHT KIDS :: This series provides children and their families with a relevant framework to help instill solid values and teach the importance of making good choices. The series teaches principles including using good judgment, taking responsibility, self-control, having a positive attitude, and demonstrating perseverance. Check out the Shine Bright Kids website for free reward charts, activities and other parenting resources. ABOUT THE BOOK :: “Must-Have Marvin” is a 32-page hardcover book with a jacket aimed at kids 4 to 8 years old. It’s illustrated by Luanne Marten. Who wants a copy? Just tell me a lesson you’ve been learning or teaching your kids in the comments for a chance to win a copy of “Must-Have Marvin.” This giveaway is open to U.S. and Canadian residents only. I’ll randomly choose a winner on Friday, March 28. Congratulations to Charity! She’s the winner of the book! Thanks to those who entered and shared about this giveaway. I received a free copy of “Must-Have Marvin” in exchange for this mention on my blog. I only recommended products my family has used and I believe you’ll like too. FlyBy Promotions provided me with the book and will mail the winner of the giveaway a copy. This post contains Amazon affiliate links. This might sound silly or off-topic but the lesson I've been trying to teach my kids lately is the importance of helping around the house! I didn't start this early enough but I'm hoping to teach them responsibility within the family. This book sounds like a great one with another very valuable lesson for my kiddos! That's not silly! We're working on that to – I want them to notice ways to pitch in and help. We've also been talking about how chores are part of being a family and we all need to do them without complaining. I'm glad you entered to win! I've been trying to teach the kids about manners. It is definitely challenging since they are young, but it is so encouraging when one of them remembers to say "thank you" or "please" or "yes, ma'm!"! Oh, yes, some days I wonder if mine are listening and then they show up with manners right in the middle of an ordinary conversation – always makes me smile! 🙂 I'm glad you entered to win this book, Mary! Oh, yes, commercials are bad news for that reason and how inappropriate some of them are. Netflix is popular around here for that same reason! I have to do the same thing with my son.